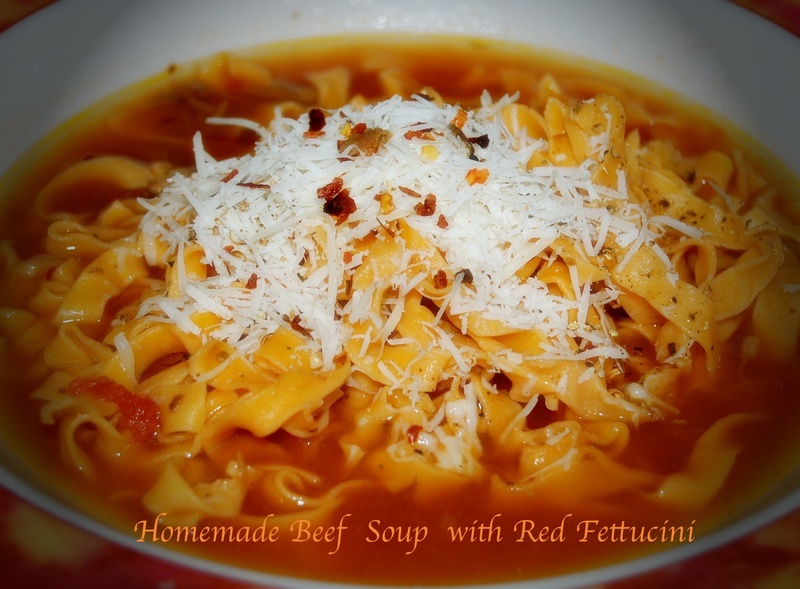 I am enjoying a second serving of the some of the pasta that I made Sunday, very nice added to a hearty homemade beef soup…A little bit of a tough time with the pasta dough as it is so humid and rainy, but I managed to do okay and now have 2 pounds of fresh pasta. Sunday pasta with a simple “sauce” of butter cheese, a little rosemary, and a bit of pepper and red pepper flakes, my kind of dinner. It is an old recipe (about 20 or so years) that I made ages ago and it just sounded so good and perfect for Mother’s Day dinner a home…Giuliano Bugialli’s basic fresh pasta dough further enhanced with 1 additional egg yolk and a heaping tablespoon of tomato paste plain or roasted. The ingredients in the book contain instructions for green pasta, and two red pastas, beet and tomato. I have made all three with great success using the Kitchen Aid Beast and attachments a very handy appliance especially kneading the dough when one is facing 2 carpal tunnel surgeries. Red Tomato Pasta Dough…which isn’t too red, but the beet pasta turns a beautiful red color. Add the dry ingredients to the mixing bowl, and make a center well, add eggs, tomato paste, salt and oil. Start mixer on #2 and mix the ingredients with dough hook until it comes together and proceed to knead by hand for 5 minutes using small amounts of additional flour if necessary. Allow dough to rest for about 30-40 minutes. Use pasta dough as you like following pasta machine instructions. 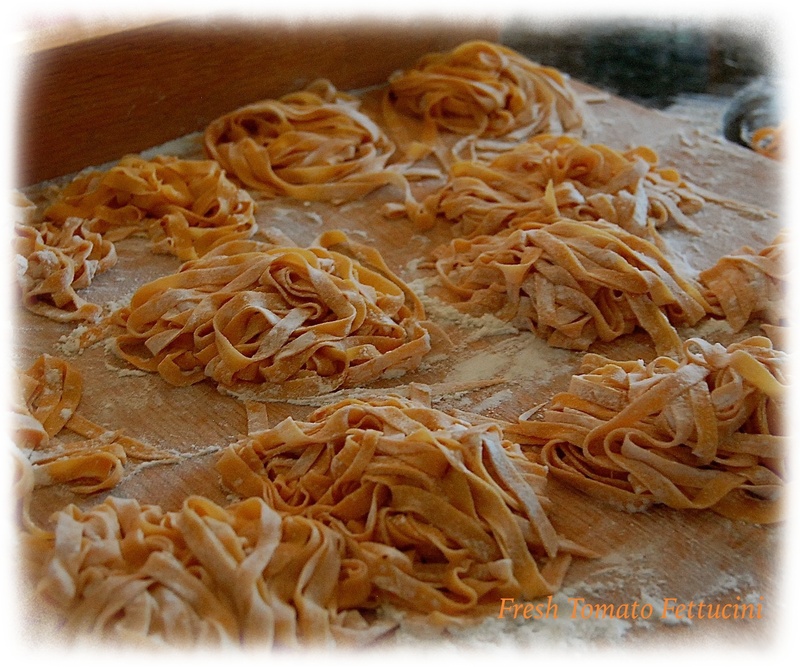 There are several sources online, so feel free to explore if you are interested in making fresh pasta at home. Homemade pasta is the best and a great way to share a cooking experience.